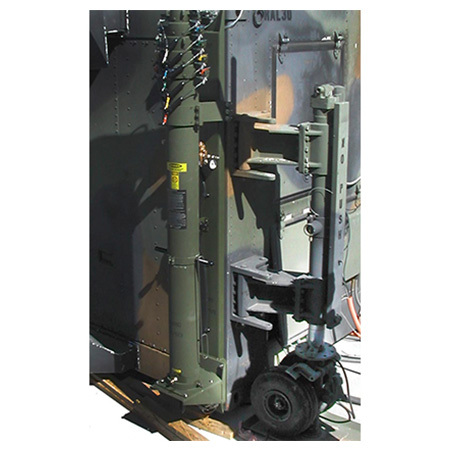 Wenzlau Engineering jack systems can be used for lifting, leveling, and moving of shelters and pallets. 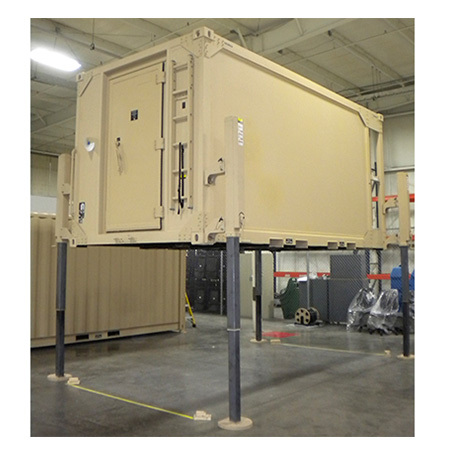 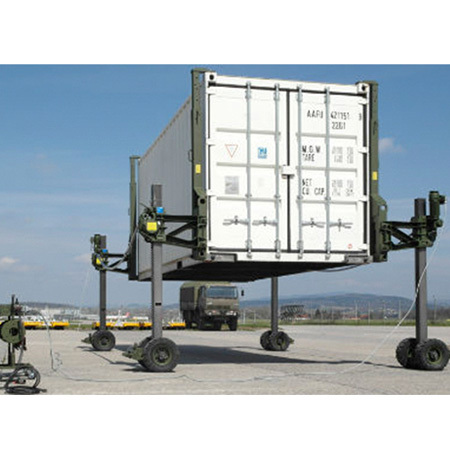 When used in conjunction with offset adapters, jacks can be used to load and off-load shelters from a variety of transport vehicles eliminating the need for cranes or forklifts. 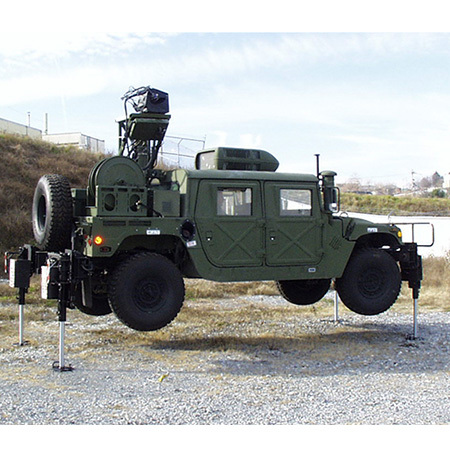 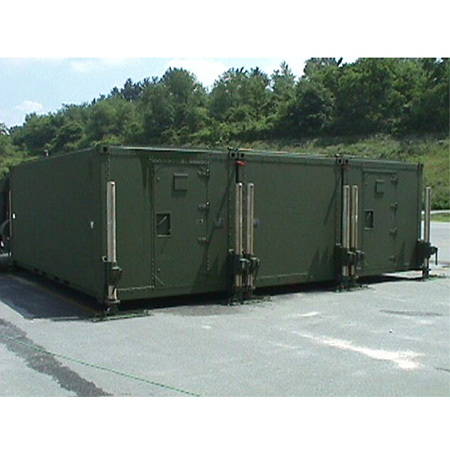 Jacks are most commonly used to level shelters for operation on uneven terrain. 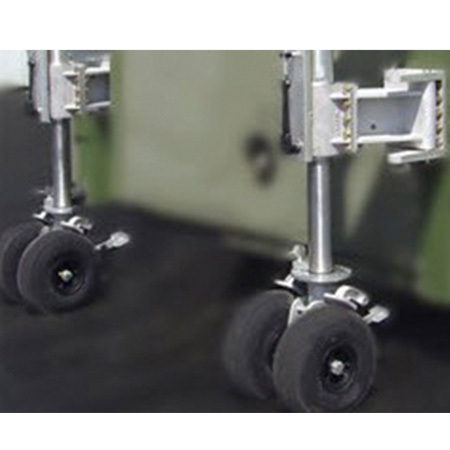 With optional casters attached, jacks provide mobility.